Atari 400/800/XL/XE . Caverns of Mars Cartridge Tested & Working. Condition is Good. Star Wars: The Empire Strikes Back for Atari 2600 VCS. £6.99 REST OF THE WORLD. With Manual. Box is starting to show it age with crease down one side. Atari Jaguar CD Game Full Circle Rocketeer. Condition is Like New. Dispatched with Royal Mail 1st Class. 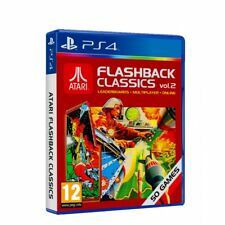 The Atari Classics Collection Vol.1 for XS4 features 50 gloriously remastered (in stunning HD) classic Atari and Arcade titles. 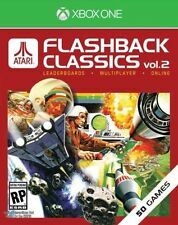 Atari Flashback Classics Collection. Circus Atari (2600). Why Buy From us ?. 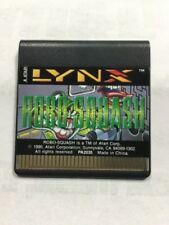 Atari Jaguar Tempest 2000 64-Bit Cartridge Video Game Boxed Tested Working. Box Condition is Good with some wear to edges. Indiana Jones and the Temple of Doom for the Amstrad CPC range of computers. This is the DISK version, not the more common cassette tape. 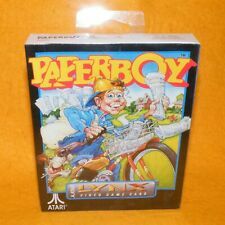 I have not been able to test it as I do not have a compatible Amstrad machine. Just Pop Each Item You Would Like In Your Basket. Case Has Crack On Back. Fully Working, Disc In Good Condition. Up for sale is a Mario Bros.
Atari 2600 - STAR RAIDERS Cartridge Game PAL CX2660 1982 With Manual. Condition is Very Good. Dispatched with Royal Mail 1st Class Large Letter. 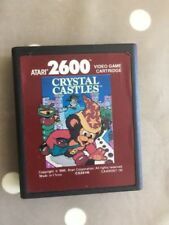 KEYSTONE KAPERS Atari 2600 Game pre-owned more on profile. Condition is Good. Dispatched with Royal Mail 1st Class Large Letter. Atari 2600 game Frogger Parker Brothers PAL working. Condition is Good. Dispatched with Royal Mail 1st Class. Shadow Of The Beast. With Manual. See Photos of Actual Item. 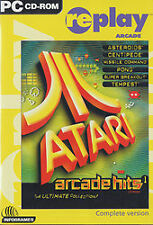 SUPER BREAKOUT ( CX 2608) ATARI 2600 GAME Cartridge and Manual. Condition is Very Good. Dispatched with Royal Mail 1st Class Large Letter. atari 2600 - Kangaroo Silver Cartridge And Manual. Condition is Good. Dispatched with Royal Mail 1st Class Large Letter. 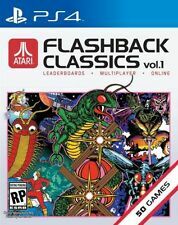 The Atari Classics Collection Vol.1 for Xbox One features 50 gloriously remastered (in stunning HD) classic Atari and Arcade titles. 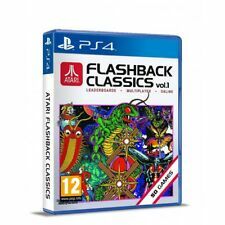 Atari Flashback Classics Collection. 50 classic and legendary Atari and arcade titles remastered beautifully and bundled on one disc for Xbox One. 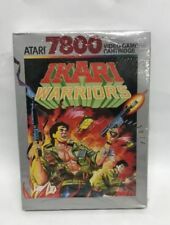 Warlords Atari 2600 (CX2610) Game Cart & Instruction Manual - PAL 1981. Condition is Very Good. Dispatched with Royal Mail 1st Class Large Letter. In full working order. No spine label. Up for sale is Gorf for the Atari 2600. Up for sale is Dark Chambers for the Atari 2600. Up for sale is Berzerk for the Atari 2600. Up for sale is Popeye by Nintendo / Parker Brothers for the Atari 2600. THE EMPIRE STRIKES BACK. TESTED AND WORKING. REST OF WORLD £12.50. Up for sale is Asteroids for the Atari 2600.